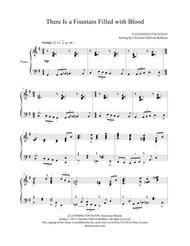 Composed by Traditional American Melody. Arranged by Christine Sullivan Robbins. Christian, Sacred, General Worship. Score. 5 pages. Published by Christine Sullivan Robbins (S0.198895). 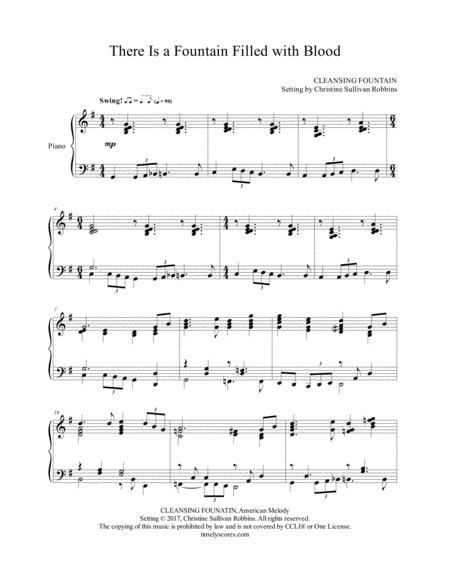 Catch listeners' ears with this bluesy piano arrangement of the favorite gospel hymn tune Cleansing Fountain. Fresh and great fun to play for church services (think prelude or offertory) and for recitals!